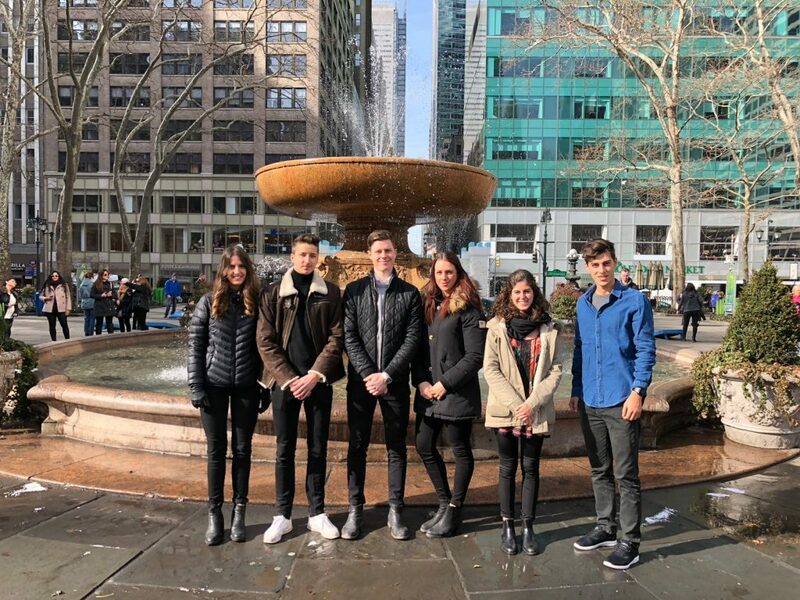 This Spring, we are six international students attending the Institute for International Business Program at State University of New York at New Paltz. We will spend eight weeks studying in New Paltz to prepare for our internship before moving to the Big Apple. The first three weeks have been very intense but exciting at the same time. Adapting to the American Culture, meeting new people, and getting comfortable speaking a new language are some of the experiences that we have encountered. We already had the opportunity to explore and get a first glimpse of New York, the City that never sleeps. We think that NYC is breathtaking and are really thrilled for the challenges ahead. Be ready to learn more about our adventures by following our blog.